Audit-proofing strategies must be implemented by tax professionals and their diabetic clients receiving disability tax credits in light of the CRA’s new interpretation of the rules. CRA has changed their position on allowing diabetics to claim disability tax credits in certain cases; a national news controversy that is leaving taxpayers uncertain about claims specific to important life sustaining therapies for their loved ones. So exactly what are the rules and why is CRA changing their interpretation in retrospect? Criteria for claiming the DTC (Disability Tax Credit). If you become disabled, you may be able to claim the disability amount on Line 316 of your return. You’ll need to have a medical practitioner (the government now allows nurse practitioners as authorities) complete Form T2201, Disability Tax Credit Certificate. If you do not require the full disability amount to reduce your federal taxes to zero, you may transfer the unused portion of the credit to a supporting person. In the case of spouses, that transfer is made on Schedule 2 and on Line 326 of the tax return. A prolonged impairment is one that has lasted or is expected to last for a continuous period of at least 12 months. A severe impairment in physical or mental functions must restrict the patient all or substantially all of the time, which is another way of saying 90% of the time or more. When it comes to life-sustaining therapies, the disability tax credit can be claimed if the therapy is required to support a vital function and the therapy is needed at least 3 times per week, for an average of at least 14 hours per week. This includes the daily adjusting of medication and the time spent by a primary caregiver performing and supervising activities for a disabled child. According to the Revenue Minister, advances in technology, such as portable insulin pumps, have reduced the amount of time that diabetics require for life-sustaining therapies and this has resulted in them no longer qualifying for the credit. What’s important is that the burden of proof is on the taxpayer – keeping a log of life sustaining treatments is required to justify claims. The claim is lucrative. The maximum claim is $8113 per adult dependant in 2017. As a non-refundable credit, the disability amount reduces the taxpayer’s tax bill by $8113 x 15% = $1216.95 regardless of income. In addition, each province has a provincial disability amount which varies by province, and will increase this claim. Disability Tax Credits for children who require this assistance also qualify. For those supporting a disabled minor, this amount is enhanced by an indexed supplement of $4,732 (for 2017). This amount is reduced by amounts claimed under Child Care Expenses on Line 214 and the Disability Supports Deduction on Line 215 in excess of $2,772 (for 2017). Additional Educational Resources: Contact your DFA-Tax Services Specialist for help in working with CRA’s audits, or consider taking this important online designation program to help others. 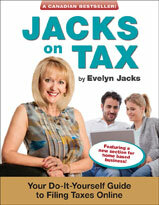 Evelyn Jacks is President of Knowledge Bureau and author of 52 books on personal tax preparation, tax planning and family wealth management. Follow her on twitter @evelynjacks. No doubt about it: leadership is challenging these days. Whether you are raising a child, coaching someone else’s child, directing a team to reach a common goal, or leading your clients towards their financial goals and objectives, the skills you need to navigate change – a leader’s, primary role – are themselves changing. Your business and career growth, in fact, may depend on your ability to embrace new leadership requirements. Although often rewarding and challenging, leadership is rarely easy. It requires commitment; resourcefulness; a relentless passion for self-improvement; together with the ability to listen, learn and earn the trust of the team and others who rely on it – consistently and continuously. As most seasoned managers know, leadership is actually not about you. It’s about the people you lead and whether they choose to follow you, or simply to do what you tell them to do. These are two entirely different matters, and they will have different outcomes. Your success as a leader depends on the choice the people you lead make. A large part of that choice is driven by whether you are seen as authentic; that is, confident in your vision and your skills and comfortable in your own skin. For most leaders who are really effective with their teams, the courage to be authentic is the key to forging accountable results not just once, but on an ongoing basis, because it drives both strategy and culture. . .and you need both to get the results required. Leadership requires a focused, accountable effort to persuade and compel others to work willingly with you towards objectives and goals that may be in flux. That’s the problem in times of great change. Most people don’t like change, but you have considerable influence on your team’s ability to embrace it. Truly inspirational leaders can motivate their teams to accomplish the impossible. Whether that’s in encouraging people to embrace new technology or subject matter expertise, change their habits or understand their new roles in the organization, it’s important for the leader to passionately – and often firmly – convey that the status quo isn’t going to cut it. Conversely, leader less committed to change can negatively affect the new outcomes his or her team is responsible for. In fact, whether your team respects or disrespects your vision will directly influence the success or failure of the goals you need to achieve. Growing Your Business: Will your leadership skills produce a positive or negative influence? It’s a really difficult question to ask of oneself, and requires a special kind of courageous introspection. Great leaders do that, and it matters, because there are essentially two ways to get results: in the short term and in the longer term. That’s the subject of next month’s Growing Your Business leadership challenge: Compliance vs Culture. Please be sure to let us know your opinion, as authentic, influential business leadership in times of great change this is the subject of our discussion this month in the Executive Business Builder Network. Evelyn Jacks is Founder and President of Knowledge Bureau. She has twice been named one of the Top 25 Women of Influence in Canada, and has won the prestigious Rotman School of Business Canadian Woman Entrepreneur of the Year Award. Evelyn is the creator of the Executive Business Builder Program, which helps small businesses acquire new skills required to grow their enterprises, and is the co-author of Get Your People to Work Like They Mean It.